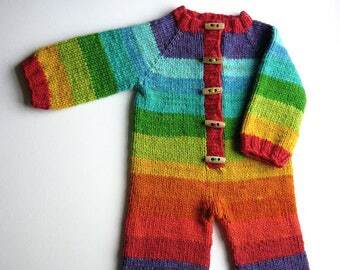 Custom romper, overalls, coveralls, all-in-one or hoodie, hooded cardigan, sleep sack, sleeping bag, dress - 3 months to 2-3T. 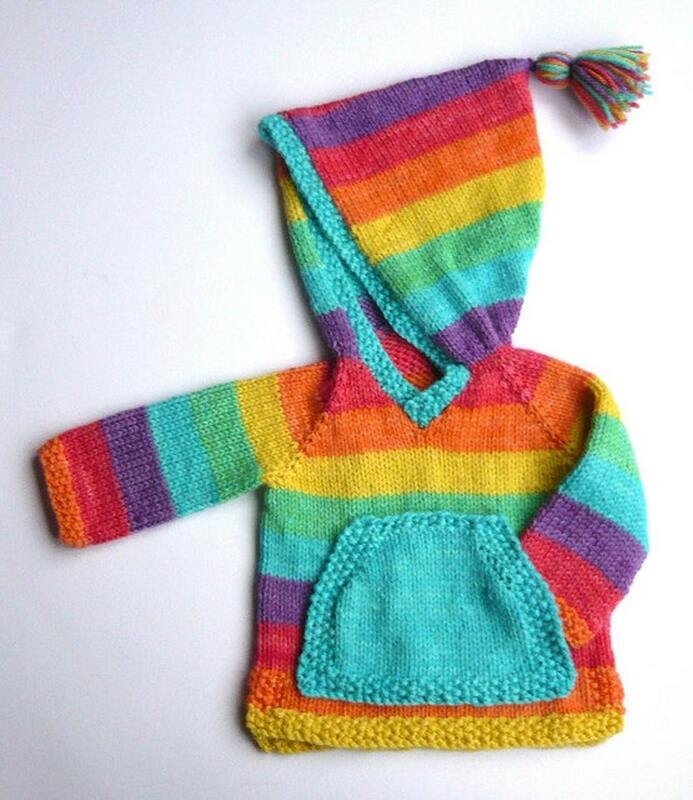 A custom hooded jumper knitted to your measurements, from 3 months up to 14yrs (30" chest approx). Please contact me for more details and to discuss your requirements. I would prefer to talk you through options before you check out, so I can be sure I can meet your expectations. The prices listed are for average sizes as on the pattern I use, I do like to work with your child's measurements in mind where possible, so if you are unsure which size to choose please get in touch and I can advise you. I work to measurements you send me, unless you want me to knit to a general size - please note that this is slightly variable depending on which yarn I use. The pattern generally comes up slim fitting, but if I use a thicker yarn than recommended it will come up more generously for example. I will also discuss colour choices with you. Larger sizes will take longer. Your hoody will be knitted using the Sleuthing Hoodie pattern, as designed by Tina Good. Please note, the pictures are of past custom items. They are all one of a kind, bespoke items. I cannot recreate any item exactly. Very cute little jumper ! 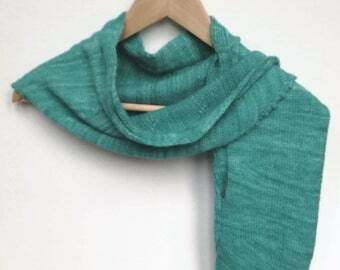 Very responsive, communicative and thoughtful, package shipped quickly, hand knitted sweater was absolutely beautiful and better than expected! My wife and I absolutely LOVE this item that we ordered for our 2 month old girl. So well crafted. Thank you very much, Felt Fusion! I bought a hoodie just like the one in the photo. It was beautiful and has made a fantastic present for my friends baby. Shadow was very helpful and kept me updated throughout the process whilst the hoodie was being made. I am delighted with my purchase!